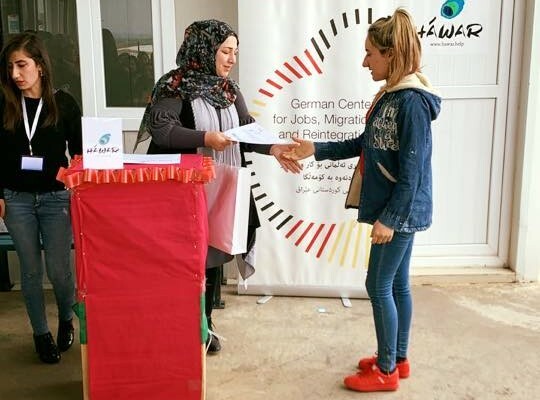 Sixty internally displaced women of diverse faiths received diplomas at Qadiya IDP camp in Northern Iraq on January 31st, marking the completion of their course work at the HAWAR.help Back to Life Women’s Empowerment Center. Pride was evident on the women’s faces as they walked across the stage and received their diplomas. Between the ages of 15 and 25 many of the graduates are Yazidi women from the Sinjar region of Iraq who were forced to flee their villages during the 2014 genocide. One such student was Samra, who at a mere 14 years of age was captured by ISIS fighters. After spending three months in ISIS captivity she fled to Mount Sinjar where she would be trapped with thousands of other Yazidis without food or water for a week. In 2016, Samra was transferred to Camp Qadiya and began courses with HAWAR.help in October. Samra’s goal through the Back to Life courses was to restore what was taken from her when she was child. Now she has begun her education, which will allow her to stand on her own two feet and realize the power she can have as a woman. The courses gave Samra the opportunity to socialize with women her own age, to gain self-confidence, and to begin to heal from a life of trauma. Over the last four months, participants in Back to Life had the opportunity to write their own stories, learn to sew clothes, and go into the community at the camp to distribute the clothes they made. Beyond the hard skills learned, the women displayed commitment to the program and themselves, following rules on attendance and actively participating on the lessons. As the women crossed the stage and received their diplomas, the pride on the face of their faces was women was wildly evident. The next cohort of 80 women is set to begin courses in February. 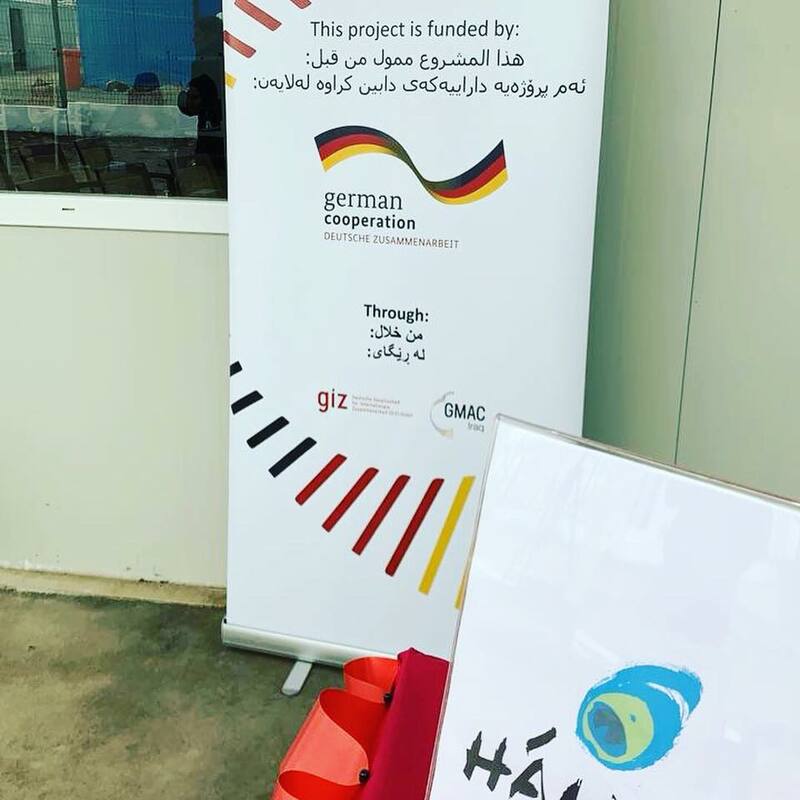 In addition to sewing and literacy courses, HAWAR.help will expand the Back to Life program to now include knitting courses to graduate 840 women by the end of the program.